Ghanaian undercover journalist Ahmed Hussein-Suale was murdered Wednesday night in Accra, when two men on a motorbike fired into the car he was driving. Hussein-Suale was pronounced dead on arrival at the hospital. Hussein-Suale took part in the 2018 investigative project Number 12, which used undercover reporters and hidden cameras to expose corruption throughout the Ghana Football Association. It showed everyone from executives to referees accepting cash bribes, and upon its release, all matches in the country were canceled and FA head Kwesi Nyantakyi was banned for life. The Ghanaian FA was dismantled by the President of Ghana; it is safe to say Hussein-Suale’s anti-corruption work made enemies. After Hussein-Suale’s death, Anas Aremeyaw Anas—the pseudonym of a well-known Ghanaian journalist who focuses on human rights and anti-corruption investigations, and who produced Number 12—released this video of member of parliament Kennedy Agyapong. Upon the release of Number 12, Agyapong went on television to call for violence against Hussein-Suale and showed photos of him. On Thursday, police “picked up” Agyapong to be questioned, though they said they are treating him as a person of interest and not a suspect. 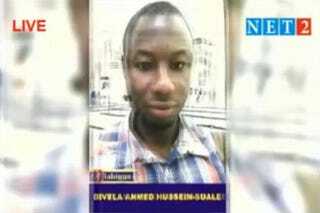 The International Press Institute condemned Hussein-Suale’s murder. The Committee to Protect Journalists says violence against reporters in Ghana is relatively rare, with one journalist previously having been killed since 1992.